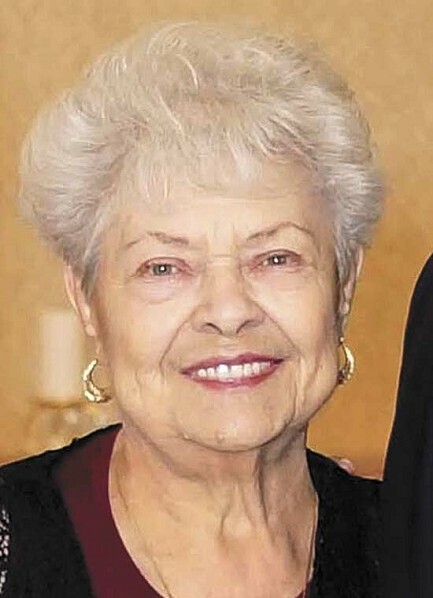 Sharon J. Flannery, age 77 of Pelican Lake, died Sunday, April 7, 2019, at Aspirus Langlade Hospital. She was born May 26, 1941, in Rhinelander, a daughter of the late Gustave and Lucille (Greig) Stefan. She married Joseph Flannery on Oct. 3, 1959 in Rhinelander. He preceded her in death on June 13, 2004. 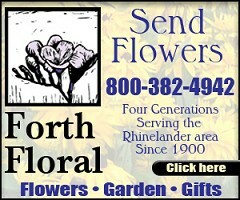 She attended Zion Lutheran Grade School and graduated from Rhinelander High School in 1959. Sharon moved to Pelican Lake in 1969. She had a great love for her children, grandchildren and great-grandchildren. Our Heavenly Father was important to her and she believed in his promise of her home in heaven. She drove special education students for the Rhinelander school district. She attended Nicolet College in Rhinelander where she mastered the art of calligraphy and design. She was the secretary and bookkeeper for Flannery & Flannery and Flannery Brother's Trucking for 11 years. Sharon was involved in artistic projects for the town of Schoepke and Elcho. She will be remembered for her sense of humor. She enjoyed playing cards, laughing, celebrating special holidays, watching squirrels and birds and spring blossoms were her favorite. Survivors include four children, Lisa (Donald) Prack of Lecanto, Fla., Todd (Lori) Flannery of Deerbrook, Kim (Randy) Giese of Bryant, Tanya (Chris) Imig of Deerbrook; 16 grandchildren, Shane, Joey Tyler, Gus, Herb (Amanda), Jesse (Kathy), Walker (Ashley), Stacey (Ryan), Alesha (Chad), Ivan (Elise), Ramsey, Reilly (Kaelyn), Braedy (Jason), Brettlee, Zachary (Anna), Chandler and Justin (Christa); 22 great-grandchildren; a sister, Darlene Scheidegger of Rhinelander; two brothers, Gerald Stefan of Antigo and David (Susan) Stefan of Lyndon Station. In addition to her husband she was preceded in death by a son, Joey Flannery, in 1997. A memorial service will be held on Friday, April 12, 2019 at 1:30 p.m. at Antigo Community Church with Rev. Kellen Lewis officiating. Visitation will be Friday from noon until the time of service at the church.